Description: , N.D.. Ephemera. 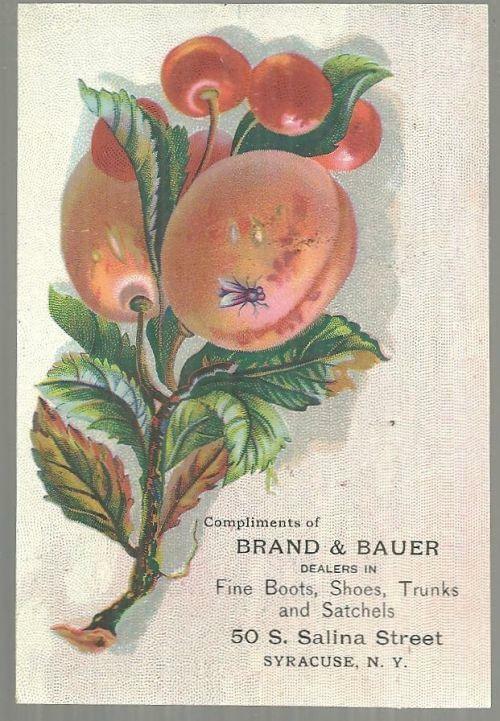 Very Good; Victorian Trade Card for Brand and Bauer, Dealers in Fine Boots, Shoes, Trunks and Satchels. 50 S. Salina Street, Syracuse, New York. On the Front of the card is Fruit . Back of card is Blank. Card is 4 1/2" high and 3" across. Very Good condition, slight wear at edges.